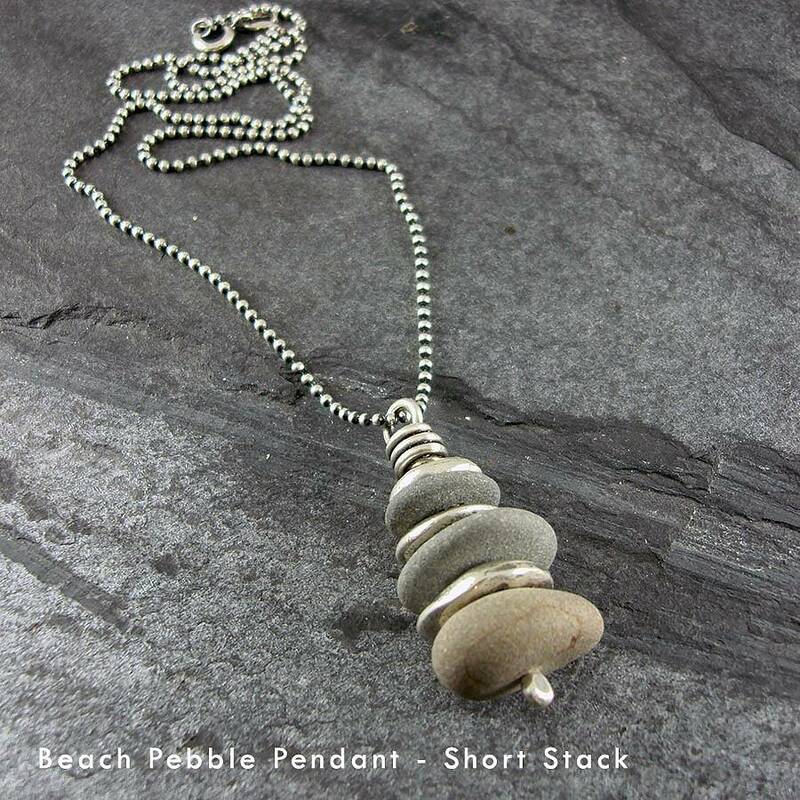 Cornish beach pebbles and silver stacker beads are stacked to create this laid back pendant, hung on a modern ball chain. 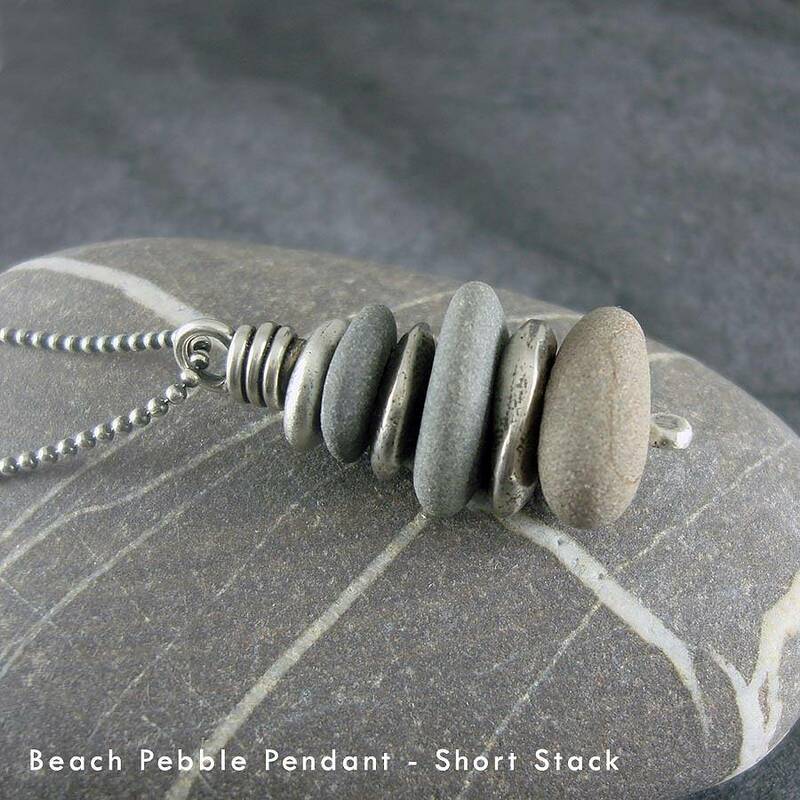 These organic, funky Cornish beach pebble stack pendants evoke memories of visits to Cornwall with fun filled days on its beautiful beaches. The style suits most people, but especially the sporty or outdoor loving person. It is available in 2 sizes and 3 chain lengths so there is something for everyone. You will also find matching bracelets and earrings. 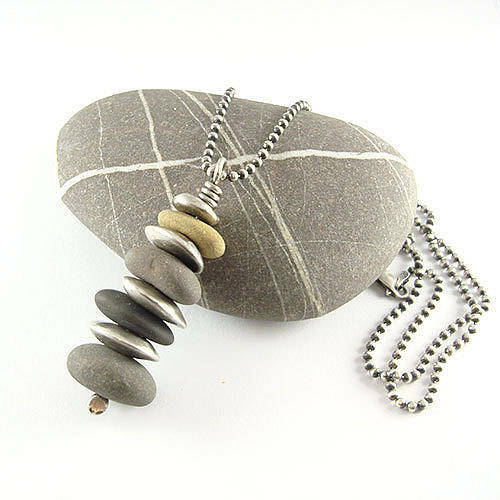 The beach pebbles are genuine; hand picked and drilled stones from the beaches of the rugged north coast of Cornwall. 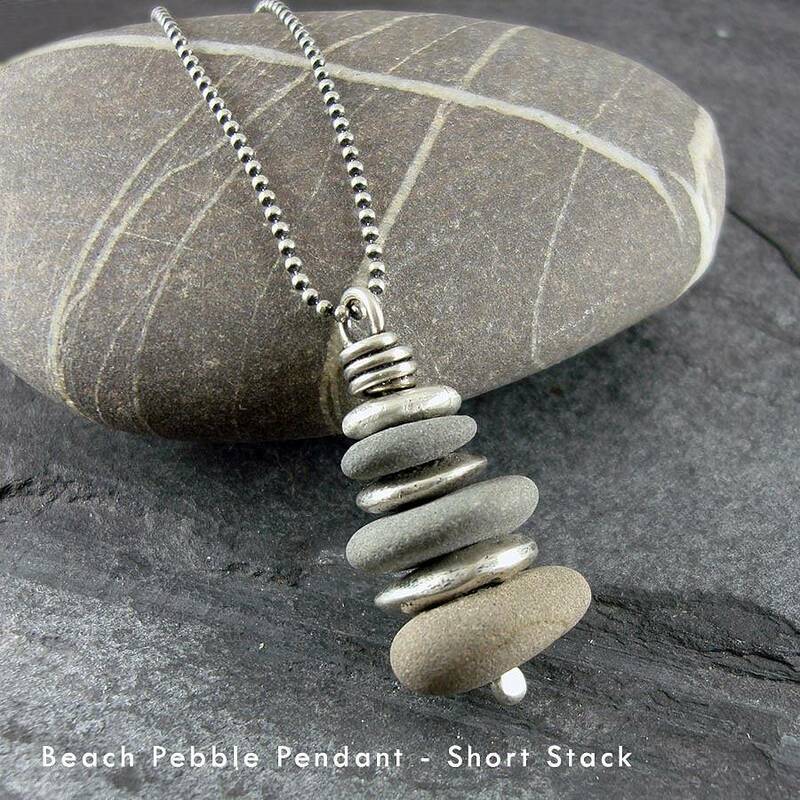 Handmade using Cornish beach pebbles, own design sterling silver stacker beads and sterling silver wire and chain. All silver features a gunmetal grey lightly brushed finish. Please bear in mind that every pendant will be different as the beach pebbles vary slightly in colour, shape and size. Chain available in 41, 46 or 76cm (16", 18" or 30"). 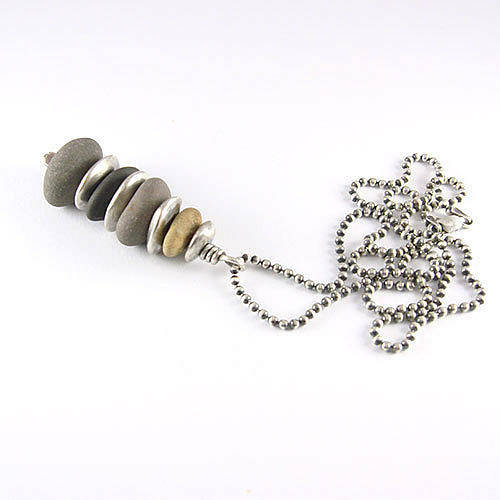 The small 3 pebble stack (on 41 and 46 cm chain) measures approximately 4 cm (1 1/2") long. 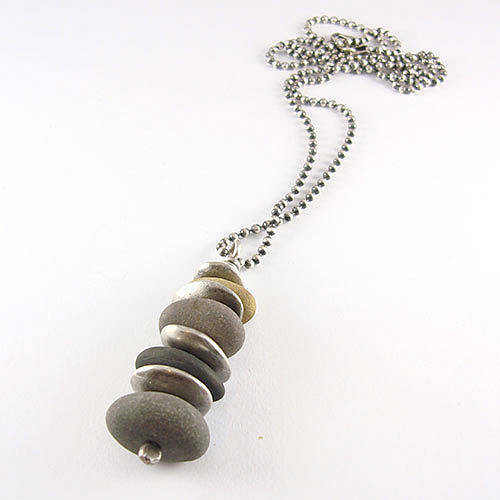 The larger 4 pebble stack on 76 cm chain is approximately 4.5 cm(1 3/4") long. This product is dispatched to you by Camali Design.